5. 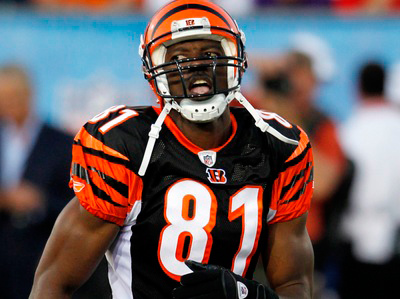 Bengals at Patriots will be a nice measuring stick game for both AFC teams. 85 and 81 will debut against a beat up Patriots secondary. On paper, the Bengals have the more complete team but my gut says Tom Brady, Randy Moss and an 80% healthy Wes Welker will have something to say about that. The Pats win at home and spoil Batman and Robin?s debut. 4. Colts at Texans should be an entertaining offensive shootout. This division has been dominated by the Colts for as long as the Texans have existed and they are sick of it. Too bad that won?t result in them beating the Colts this Sunday. I think it will be a close game, but the Indianapolis Peyton Manning?s will do what they have always done to the Texans. 3. Cowboys at Redskins on Sunday night should be an entertaining show for the whole family. 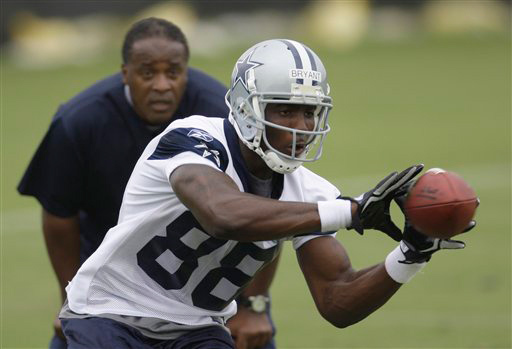 The long awaited NFL debut of Dez Bryant will finally come on a national stage. Everyone will also get their first look at Donovan McNabb as a Washington Redskin in a regular season game. This will be a closely contested game with the Cowboys pulling through in the end. 2. Ravens at Jets on Monday night football should be a doozy. You have Rex Ryan?s Jets versus his old vaunted Raven?s defense. Both teams have been picked by experts as potential AFC champions. However there can only be one and I feel the Ravens? experience and new found depth at the wide receiver position will prove too much for the Jets and Mark ?Sanchize.? 1. The NFL?s season opener, Vikings at Saints this Thursday, is easily the most anticipated match up of week 1. Brett Favre didn?t have to wait long for his revenge against the Saints. Unfortunately, I see the Saints winning this game comfortably. The Vikings have too much to overcome between injured receiver Sidney Rice, Brett?s ankle and the departure of Chester Taylor who I feel will be sorely missed this season.